Aloe vera has a strong laxative effect, which makes it helpful in treating constipation. Horseflies can be quite troublesome when you get bitten by one. They’re known for attacking animals and even humans, biting them to feast on their blood. They can be dangerous because they have the ability of transmitting parasites and other diseases amongst victims. There are tons of remedies for horsefly bites available, one of them being Aloe vera. High in antibacterial and anti-inflammatory properties, Aloe vera can reduce the discomfort felt and provide relief on the affected area. A study published in the Journal of Indian Society of Periodontology names aloe vera as a “soothing healer to periodontal disease”. The study evaliated a total of 15 subjects and found that when aloe vera gel was administered orally, the severity of various gum diseases was lowered. That doesn’t mean you have to break open leaves and lather the suspicious-looking gel all over your gums. There are a wide array of aloe vera products out there such as toothpaste, mouthwash and juice. Aloe vera gel is an essential part of your herbal dispensary. The leaf juices of the plant has important uses for medicine and making it one of the most respected in the medical field, and is also found in a lot of gels, creams and lotions. In addition, aloe vera also contains immune-stimulating and anti-inflammatory elements, and has the ability to stimulate collagen synthesis and skin regeneration. It’s a perfect remedy for burns as it also contains vitamins C and E, plus the mineral zinc. 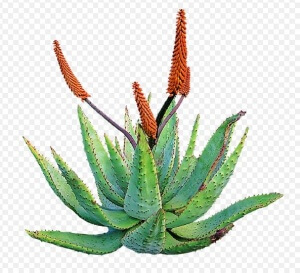 Aloe vera is known to contain immune-stimulating and anti-inflammatory properties and is known to trigger collagen synthesis needed to regenerate the skin after sustaining burns. All you need to do is apply aloe vera gel on the affect area and cover it up for faster healing. You end up with brand new skin and free of burns. Aloe vera is famous for its soothing effects, as well as its antibacterial and anti-inflammatory traits. These essential traits help heal, acne, improve the appearance of wrinkles, and also hydrate damaged skin. All you need to do to attain younger looking skin is just apply a thin layer of aloe vera gel. Then let it work its magic by soothing the discomfort caused by skin irritations and acne. Drinking a glass of aloe vera juice wil help strengthen your entire immune system. In addition, aloe vera juice has the ability to cure you of tonsilitis. However, you don’t have to drink it all day; 2 to 4 ounces of it is enough to get you by. If you want, you can add lemon juice for an extra kick of vitamin C.lemons with your aloe vera juice for an extra kick of Vitamin C.
Consider drinking aloe vera juice to help heal your gut. A lot of people experience mouth ulcers or canker sores at some point in their lives. They’re usually formed right under the lips or inside the mouth, and they can last for up to 10 days. If you don’t want to wait that long for the sores to fade, go on and use an aloe vera treatment. It hastens the healing of mouth ulcers. All you need to do is apply an aloe vera patch on the affected area. Tooth decay can cause tons of problems to a lot of people. If you don’t want to compromise your oral health, aloe vera is the best way to go. All you need to do is use aloe vera as a mouthwash (chlorhexidine) on a daily basis. During the first 4 days, aloe vera is seen to be an effective remedy in reducing plaque. In a 15- to 30-day period, the aloe vera kills all of the plaque-producing bacterium Streptococcus mutans inside the mouth, as well as the yeast Candida Albicans. Blisters are raised sections of the upper layer of skin filled with a watery solution. They can be formed from friction between your skin and towards another object, like shoes or from working in the garden. Any kind of activity that your skin is not used to will cause blisters to show up, and they can be uncomfortable at times. Aloe Vera is known for its delicate healing properties perfect for the skin. Whether your blister is fully formed or busted, Aloe Vera can work on healing it. Just apply the gel version of such to the affected area. It will bring faster healing if it’s bandaged and covered up. Re-apply over and over again until it’s completely healed. Aloe Vera also has the ability to heal any wounds present on your skin. It’s known to have antibacterial, antifungal, and antiviral compounds (helps prevent future infections). In addition, Aloe Vera also has the power to trigger the functions of the immune system and is also anti-inflammatory in nature. Thus, if you need some wounds to be healed, Aloe Vera is your savior.